Newport Beach mayor and boat builder narrowly hold lead for City Council seat. NEWPORT BEACH — What a difference one month makes. The Log, shortly after the Nov. 6 midterm elections, reported Newport Beach Mayor Marshall “Duffy” Duffield lost his City Council re-election bid, based upon results posted at press time. Results available on Dec. 6, however, show Duffield holding a slight lead over opposition candidate Tim Stoaks by 36 votes. One final recount is underway. The Log’s original post-election report had Duffield losing to Stoaks by 310 votes. Updates results since then still had Duffield in the loss column, but he eventually took over the lead and held a thin edge over Stoaks as of press time for this issue. Stoaks had 14,017 votes, to Duffield’s 13,707, when The Log’s press time closed just after the midterm elections. The Orange County Registrar of Voters now shows Duffield with 18,458 votes, just ahead of Stoaks’ 18,422. A few readers of The Log chimed in on our initial reporting of the Duffield-Stoaks race, pointing out mail-in ballots had yet to be factored into the results we reported. Reporting on Duffield’s loss in our Nov. 16 issue, accordingly, was premature. Updated results out of the Orange County Registrar of Voters confirmed as much, meaning Duffield is on the inside track to hold onto his City Council seat for another four years. Duffield’s current lead means three of the four City Council incumbents up for re-election this year would retain their respective seats (if the recount confirm’s Duffield’s narrow lead). Council member Scott Peotter lost his bid for re-election. It will be interesting to see how the next four years play out if Duffield does remain on the council. One of the biggest issues during his first term (and came up during the campaign) was the number of times Duffield recused himself from harbor-related agenda items. Duffield, who invented the Duffy electric boat, regularly cited a conflict-of-interest during several deliberations of harbor-themed issues. The recusals certainly raised questions of whether Duffield was a true voice of boaters on the dais, as he didn’t participate in many votes on issues directly affecting the harbor. Duffield was first elected to the City Council in 2014, defeating then mayor Rush Hill. The 34th District, coincidentally, includes Alamitos Bay Marina and Huntington Harbour. 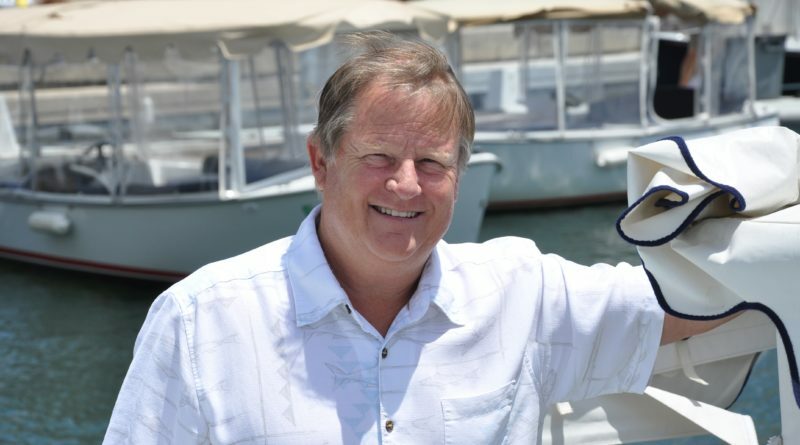 Duffield is one of two boaters on the Newport Beach City Council; the other boater is Council member Brad Avery. Both Duffield and Avery served on the city’s Harbor Commission before winning their respective City Council seats. The City Council held its final meeting of 2018 on Dec. 11. Council members selected Diane Dixon as the city’s new mayor, meaning Duffield’s mayoral term is officially over.